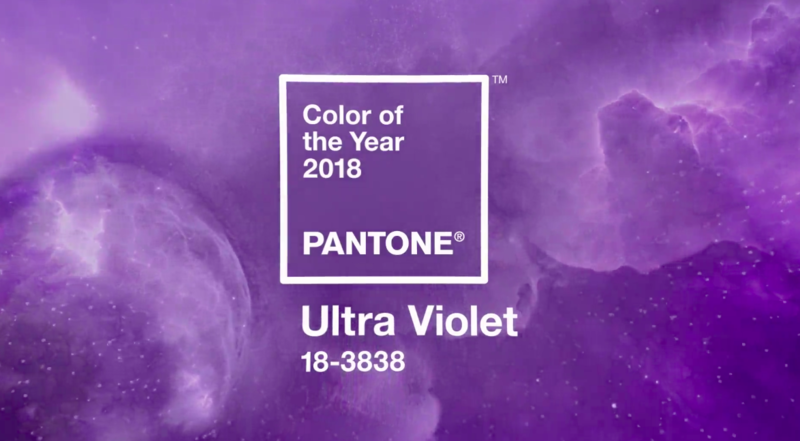 PANTONE® Announces 2018’s Colour of the Year – Ultra Violet! Each year, the Pantone Color Institute selects a ‘colour of the year’, which symbolises the design trends and cultural moods of the coming year. 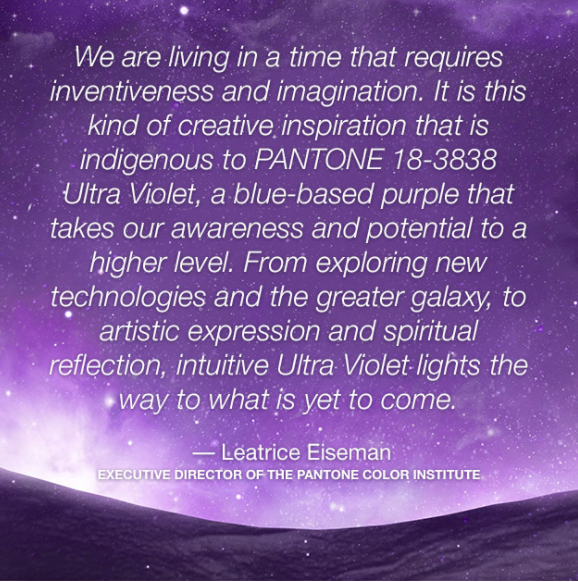 “From exploring new technologies and the greater galaxy, to artistic expression and spiritual reflection, Intuitive Ultra Violet lights the way to what is yet to come,” Eiseman said. Pantone also said that they took inspiration from pop culture icons like Jimi Hendrix and David Bowie, as well as natural influences. As well as inspiring non-conformity and experimentation, Pantone’s new colour of the year helps to push boundaries through creative outlets and mindfulness practices. As such, this beautiful violet hue can be used in and around your home to create a relaxing yet inspiring environment. Different shades of purple can be introduced around your home in a number of ways. This includes everything from lavender and violet plants in the garden, purple potted plants around the home or on your front porch, or soft furnishings and décor with a splash of purple. Interior decorating is still all about layers and texture, so if you have a couch or armchair in a neutral colour, a pop of soft violet in a throw rug or scatter cushions will not only help liven up your space, but also imbue anyone who uses the space to push boundaries. How to use colour in home decorating scenarios is just one of the things we cover in our Home DIY course, so if you’re looking to learn more about how to make your home a luxurious haven through design, ask us about our interior decorating courses today! Our DIY Home Décor course is made up of four three hour classes and will teach you how to use colour, window treatments, floor coverings, and accessories around your home. Call Judith on (08) 9317 6146 or email Judith@molyneuxdesigns.com.au for more information!